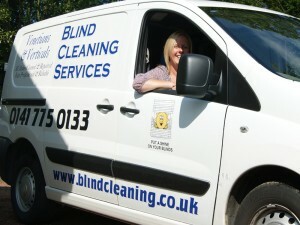 Blind Cleaning Services is an established family run business, which has been on the go for nearly 30 years. We provide a comprehensive blind cleaning and repair service. We are based in Kirkintilloch and work with both commercial and domestic customers throughout Scotland. At Blind Cleaning Services we pride ourselves on our personal commitment to our customers and on our friendly, quick, reliable service that’s both high quality and great value! It’s these standards that have kept customers returning to us time and again for their blind cleaning and repair work. Please read some of the glowing testimonials from our customers and take a look at some of the before and after results that we can achieve in our cleaning page.